Today's most innovative solo and small firms are finding new clients through public-facing document assembly apps. This step-by-step guide will teach how to build your own document assembly marketing machine. Document assembly refers to using software to draft documents on the basis of a template. For example, your template document may include "blank spots" for date, address, contact info, etc -- document assembly allows you to fill these blank spots more efficiently than doing a simple "find and replace" with Microsoft Word. This article concerns a specific kind of document assembly software: one that allows you to build public-facing document assembly apps. What is a public-facing document assembly app? A public-facing document assembly app is an online questionnaire that collects information that is then used to draft a document. ChiCityLegal, a Chicago-based law firm, provides landlords with an app that drafts eviction letters for free. 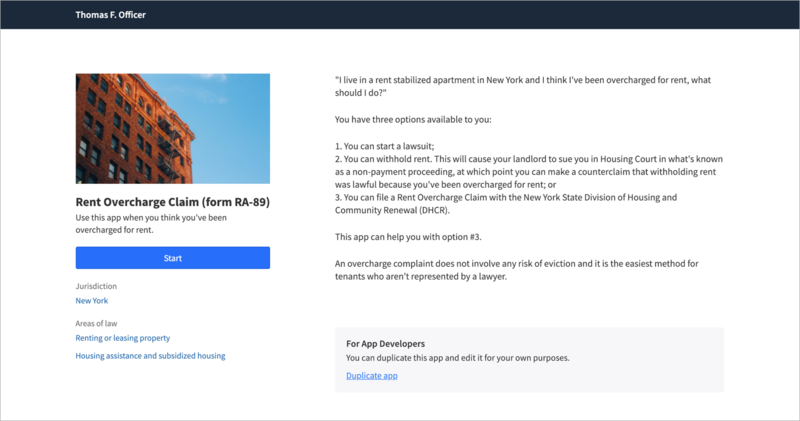 JustFix a Brooklyn-based non-profit, provides tenants with an app that helps them draft a landlord letter of complaint for free. Greater Boston Legal Services, a Boston-based legal aid, provides tenants with an app for self-help eviction defense. This app includes the ability to generate an Answer and Motion to Compel Discovery. My partner is moving in with me. They have a child and I have a trust fund… What should I do now? I want the government and my employer to recognize my gender… What should I do now? My landlord hasn't responded to my request to turn the heat on… What should I do now? Not everyone who asks these questions will hire a lawyer. However, everyone who asks these questions wants to take action, and some people who take action will eventually recognize the need of hiring a law firm. By providing these individuals with a document assembly app that allows them to take immediate action in response to their "what should I do now?" question, you increase the likelihood that they hire you down the road. How do I build my own public-facing document assembly app? Find a document that helps someone take action during the early stages of their legal issue (when they're asking themselves "what should I do now?"). This is the most difficult step. 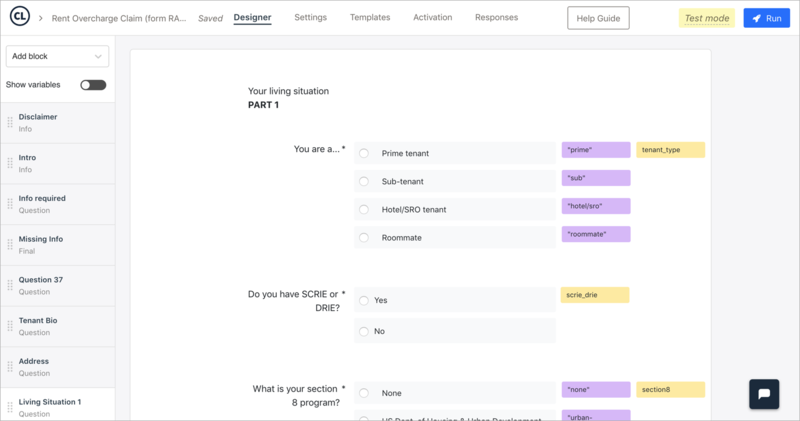 Share your document assembly questionnaire online, ideally on a single page website that you've built solely for this purpose; this makes it more likely that your app will be discovered by someone searching for a practical, actionable next step. The key to sharing your app effectively is contextualizing when / how a member of the public, who you've never met, should use the document your app will help them assemble. Follow up with everyone who uses your app to simply ask how their issue is progressing. Bonus points if you can automate this communication with a service like Lexicata (read more about how Lexicata can help you with automated email marketing). Document assembly is no longer just for internal process automation. 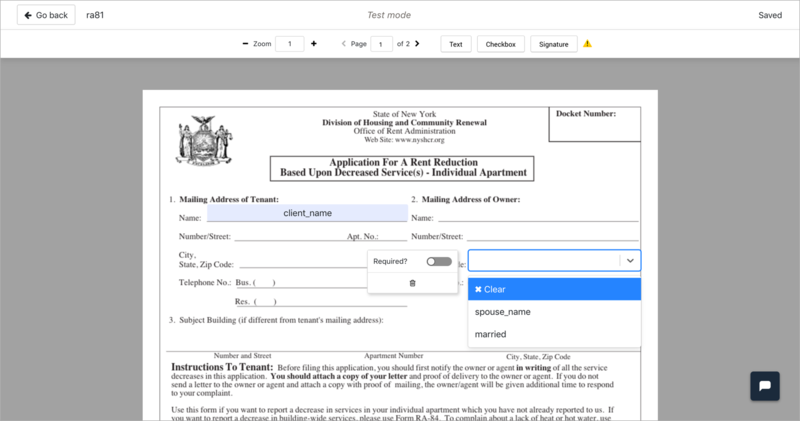 Solo and small law firms are building public-facing document assembly apps to connect with prospective clients. Building your own app is an easy and inexpensive way to differentiate your firm in the eyes of the public. Do you want your own document assembly app? You can build and test your app for free with Community.lawyer.